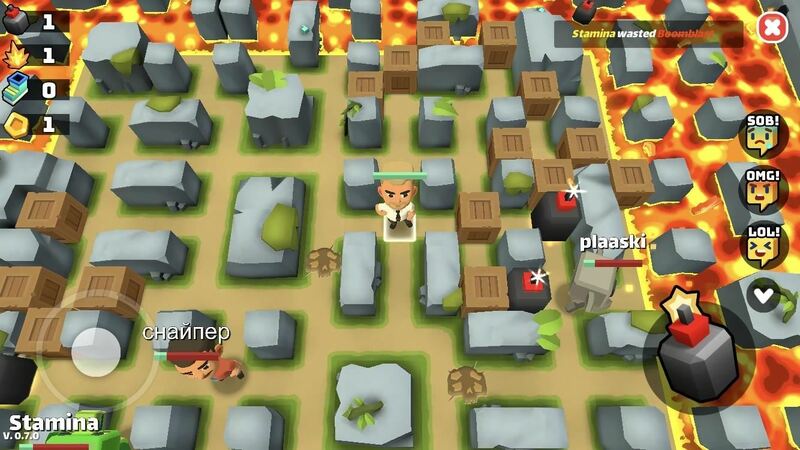 A top-down free-for-all brawler with MOBA elements, Battle Bombers Arena pits you against other players in real-time, using your bombs and your cunning to outlast your opponents on an ever-shrinking battlefield. Of course, bonus items like time bomb power-ups and speed boosts lay hidden all across the map to help you get a leg up on your competition. In addition to level-ups, the game rewards you with coins that you can use to unlock more custom avatars. All told, Battle Bombers Arena is an addicting game that's fun to play on the go, so don't let its soft-launch status hold you back — you can give the game a try right now even if you live outside the countries it's currently limited to. To play Battle Bombers Arena, your iPad, iPhone, or iPod touch will need to be running iOS 7 or higher. Besides that, the App Store's region restrictions will also need to be bypassed before you can download the game in the US. To do this, simply create a new Apple ID using a realistic home address from the country where the game has been released — in this case, Poland. Once you have a Polish Apple ID, just sign into this account on your iPhone, then you'll automatically be transferred to the Poland App Store, where Battle Bombers Arena is officially available. If you'd feel more comfortable using a step-by-step guide on this subject, be sure to head to the following link to learn more. Now that you have access to the Polish App Store, the next step will work just the same as installing any other game. So head to the App Store and search for Battle Bombers Arena and download it, or tap the following link from your iOS device. Please note that Battle Bombers Arena is still technically in development, so don't be surprised if you encounter minor bugs. We tested the game on an iPhone 8 and iPhone SE, both running iOS 11.2.2, and found the game ran extremely well with no noticeable issues. How is the game working on your device? Let us know in the comment section below.